China is a contracting state to the New York Convention on the Recognition and Enforcement of Foreign Arbitral Awards (the 1958 New York Convention). China acceded to the 1958 New York Convention on 22 January 1987 and it entered into force in China on 22 April 1987. When acceding to the Convention, China made a reciprocity reservation and a commercial reservation pursuant to article I of the Convention. Upon resumption of sovereignty over Hong Kong and Macao, the government of China extended the territorial application of the Convention to Hong Kong and Macao in 1997 and 2005 respectively. China has signed bilateral arrangements on mutual recognition and enforcement of arbitral awards with Hong Kong special administrative region (SAR) (2000) and Macao SAR (2007). China is a contracting state to the Convention on the Settlement of Investment Disputes between States and Nationals of Other States (the ICSID Convention). China signed the Convention on 9 February 1990, deposited the ratification on 7 January 1993 and the Convention was effective in China from 6 February 1993. On 7 January 1993, China notified the International Centre for Settlement of Investment (ICSID) pursuant to article 25(4) of the Convention that the Chinese government would only consider submitting to the jurisdiction of the ICSID disputes over compensation resulting from expropriation and nationalisation. Up to 10 November 2018, China has concluded 145 bilateral investment treaties (BITs) and 22 other treaties with investment provisions. Of the 145 BITs, 21 are signed but not in force, and 16 are terminated. China is a contracting party to the China-Japan-Korea Agreement for the Promotion, Facilitation and Protection of Investment. This trilateral treaty became effective on 17 May 2014 in China and it provides a wide range of options to resolve an investment dispute, which, inter alia, includes ICSID arbitration and arbitration under the UNCITRAL Rules. The Free Trade Agreement between China and Australia became effective on 20 December 2015. The China-Hong Kong CEPA Investment Agreement became effective on 28 June 2017.
the various other judicial interpretations given by the Supreme People’s Court with regard to arbitration. other circumstances under which the civil relationship may be determined as foreign-related. On 30 December 2016, the Supreme People’s Court issued its Opinion on the Provision of Judicial Safeguards for the Construction of Pilot Free Trade Zones, a judicial interpretation that stipulates that an arbitration agreement between or among free trade zone (FTZ)-registered wholly foreign-owned enterprises that provides for arbitration outside of mainland China should not be held invalid as it is tantamount to the existence of a foreign element. It also provides that an arbitral award made outside China for a dispute involving a FTZ-registered foreign-invested enterprise should not be refused enforcement on the ground of a lack of a foreign-related element. On 1 August 2018, the Supreme People’s Court issued its Opinion on Providing Judicial Services and Safeguards for the Comprehensive Deepening of Reform in Hainan Province, which further broadens the definition of foreign-related. It stipulates that an arbitration agreement between or among Hainan pilot FTZ-registered commercial entities that provides for arbitration outside of mainland China should not be held invalid as it is tantamount to the existence of a foreign element. China’s arbitration legislation is not based on the UNCITRAL Model Law, but the Model Law had a great influence on the Arbitration Law when the latter was drafted. under the Model Law, an arbitral award may be set aside or refused for enforcement by a court based on serious procedural irregularities only. The Arbitration Law imposes a crucial scrutiny on domestic arbitral award that may be set aside or refused to be enforced for both procedural irregularities and limited substantive reasons. the arbitration commission must forward a party’s application for interim protection measure as to evidence or property to the competent court (articles 28, 46 and 68). For foreign-related arbitration, the parties may freely decide on the law applicable to the merits of the case. For domestic arbitration, the substantive law shall be Chinese law. The Law on the Applicable Law to Foreign-related Civil Relations sets out a number of useful rules according to which the judges or arbitrators may decide which law shall be applied if the dispute is foreign-related. For instance, it provides that if the parties do not choose the laws applicable to contracts by agreement, the laws at the habitual residence of the party whose fulfilment of obligations can best reflect the characteristics of this contract, or other laws that have the closest relation with this contract, shall apply (article 41). However, if the application of foreign laws will damage the social public interests of China, the laws of China shall apply (article 5). The interpretation of the Supreme People’s Court on Several Issues Concerning Application of the Law on the Applicable Law for Foreign-Related Civil Relations contains numerous conflict rules of law guiding the choice of law on merits of the disputes. In China, the leading arbitration commissions handling foreign-related disputes are the China International Economic and Trade Arbitration Commission (CIETAC) (also called the Arbitration Court of the China Chamber of International Commerce) (www.cietac.org) and the China Maritime Arbitration Commission (CMAC) (www.cmac-sh.org). CIETAC and CMAC have been playing a dominant role in administering foreign-related commercial and maritime arbitration cases. In 2012, CIETAC’s Shenzhen subcommission and CIETAC’s Shanghai subcommission declared they were breaking away from CIETAC. Afterwards, they announced their establishment as two independent arbitration commissions (ie, the Shanghai International Economic and Trade Arbitration Commission, also called the Shanghai International Arbitration Center (www.shiac.org) (SHIAC), and the South China International Economic and Trade Arbitration Commission (also called the Shenzhen Court of International Arbitration (SCIA) (www.sccietac.org)). In January 2018, SCIA merged with the Shenzhen Arbitration Commission. This is the first example of a merger among arbitration institutions in mainland China. Notably, there are two arbitration institutions that have publicly announced that they adopt the corporate governance mechanism to manage their organisational structures. These are SCIA and the Hainan International Arbitration Court. Headquartered in Beijing, CIETAC has eight subcommissions, located in Shenzhen, Shanghai, Tianjin, Chongqing, Wuhan, Fuzhou, Hang Zhou and Jinan respectively, and three oversea arbitration centres located in Hong Kong, Vienna and Vancouver. In addition, CIETAC has the Online Dispute Resolution Center and Grain Industry Arbitration Center. CIETAC’s list of arbitrators comprises 1,437 arbitrators from 65 countries and regions. CIETAC Arbitration Rules permit the parties to agree on the place and language of arbitration, and the applicable law to dispute. The fees of arbitrators are collected in advance by CIETAC from the parties as part of the deposit for arbitration fees, and finally allocated to the arbitrators by CIETAC. CIETAC Hong Kong Arbitration Centre collects the administrative fee and arbitrator’s fee separately. The new CIETAC Arbitration Rules came into effect on 1 January 2015 to replace the old rules adopted in 2012. This chapter relies on the new 2015 CIETAC Rules. To deal with the BITs arbitration, CIETAC promulgated its Arbitration Rules on International Investment Disputes, which took effect on 1 October 2017. In addition to CIETAC and CMAC, there are 253 more arbitration commissions located at major cities across mainland China. These arbitration commissions are independent from each other and their cases are primarily domestic. In 2015, the Beijing Arbitration Commission (BAC) published its new Arbitration Rules, which became effective as from 1 April 2015. In 2016, SCIA adopted its new Arbitration Rules, which became effective on 1 December 2016. Chinese law requires that arbitration should be conducted between parties on equal footing. Articles 2 and 3 of the Arbitration Law are the primary provisions dealing with the issue of arbitrability. Both contractual and tortuous disputes are arbitrable if they occur between parties on an equal footing, related to economic interest and covered by the arbitration agreement. Article 3 of the Arbitration Law lists two typical situations where the subject matters are non-arbitrable: disputes over marriage, adoption, guardianship, child maintenance and inheritance; and administrative disputes falling within the jurisdiction of the relevant administrative organs according to law. Disputes over the validity of a registered trademark or patent, disputes relating to monopoly agreement and disputes concerning exercise of governmental power in public-private partnership contracts are generally not considered as arbitrable. However, disputes over copyrights and securities transactions may be resolved through arbitration. The Arbitration Law provides that an arbitration agreement shall not be made orally and it must be in writing. The Contract Law (1999) stipulates that ‘in writing’ means a contract, letter or electronic message that is capable of expressing its contents in a tangible form (article 11). Incorporating an arbitration clause existing in another document, or standing general terms and conditions, can serve to satisfy the in writing requirement. The parties cannot waive this requirement of an arbitration agreement. An arbitral award made with no written arbitration agreement is exposed to the risk of non-enforcement or being set aside. Failure to meet the statutory requirement of the arbitration agreement can sometimes be cured if the party who could raise an objection does not object (for example, article 5 of the 2015 CIETAC Rules). When local or state entities engage in commercial transactions and conclude arbitration agreements, they are treated as parties on equal footing with their counterparts; therefore, no requirement for co-signing or approval is imposed. it must designate an ‘arbitration commission’ to resolve the dispute. 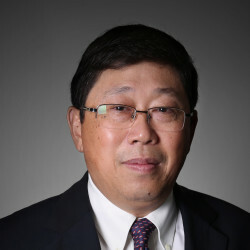 the arbitration agreement refers the pure domestic disputes for arbitration outside China, except where such an agreement is made between or among the FTZ-registered wholly foreign-owned entities, or between or among the Hainan FTZ-registered commercial entities. Generally, third parties are not bound by an arbitration agreement under the law. However, a non-signatory to an arbitration agreement may nevertheless be bound by it in special circumstances. compliance with the international treaty: the involved parties shall be regarded as admitting to arbitration in accordance with the arbitration provision in the international treaty. The Bankruptcy Law (2006) recognises that the bankruptcy administrator may continue on behalf of the bankrupt enterprise to participate in the arbitration proceedings that are started before the application for bankruptcy is accepted by the people’s courts. Historically, the joinder of a third party is very common in Chinese civil litigation but very rare in arbitration. However, the situation is changing with revision of arbitration rules by Chinese arbitration institutions. The 2015 CIETAC Rules introduce new provisions allowing the joinder of additional parties under the same arbitration agreement to the existing arbitration proceedings. The admissibility of the joinder will be decided by either the arbitration institution or the arbitral tribunal after it hears from all parties, including the additional party (article 18). The group of companies doctrine is admitted in court litigation but not applicable to arbitration under Chinese law. The ‘alter ego’ or corporate veil piercing theory will surpass and go beyond the ambit of an arbitration agreement, thus the arbitral award rendered under such scenarios will be exposed to a high risk of being set aside, or non-enforcement because of a lack of an arbitration agreement that is binding upon the non-signatory. A non-signatory of a group of companies may have been involved in the conclusion, performance or termination of a contract in dispute, but the behaviour of the group of companies itself is not tantamount to concluding a written arbitration agreement. The issue of multiparty arbitration or consolidation of arbitration is often addressed by the arbitration institution’s rules of procedure. Assumption of two sides only for each multiparty arbitration: there will be only two sides (ie, the claimant side and the respondent side) in a multiparty arbitration. If either side fails to jointly appoint or to jointly entrust the chair of CIETAC to appoint an arbitrator, the chair of CIETAC shall appoint all three members of the arbitral tribunal and designate one of them to act as the presiding arbitrator (article 29). Joinder of additional parties to the existing arbitration: during the arbitral proceedings, a party may apply to CIETAC to have an additional party join in its side (article 18.5). Consolidation of two or more arbitrations with multiple parties: CIETAC may decide to consolidate several separate arbitrations into one arbitration proceeding that was first commenced (article 19.2). all the parties to the arbitrations have agreed to consolidation (article 19). has knowledge of the law, and holds a senior title or has acquired an equivalent professional level in fields such as economic relations and trade. Appointments of foreign nationals as arbitrators are subject to article 67 of the Arbitration Law, which sets out relatively flexible criteria. There are no specific laws or rules that expressly prohibit retired judges from acting as arbitrators. The Supreme People’s Court has imposed a stringent restriction on incumbent judges who are forbidden to accept the invitation to be an arbitrator or to act as an arbitrator. In accordance with article 13 of the Arbitration Law, each Chinese arbitration institution has established its list of arbitrators, and the parties to an arbitration agreement are required to select and appoint arbitrators from these lists (the closed panel approach). Meanwhile, a few arbitration institutions, for example CIETAC, BAC, SCIA and SHIAC, permit the parties to select and appoint arbitrators from outside the lists (the open panel approach). In case of ad hoc arbitration between or among the FTZ-registered entities, the parties are allowed to choose arbitrators by agreement or take a non-list approach, but it is generally considered that the ad hoc arbitrator must nevertheless meet the criteria set out by the Arbitration Law. Parties are permitted to stipulate, by agreement, requirements for arbitrators such as nationality, religion, gender, language or expertise. Arbitration in mainland China is overwhelmingly administered by arbitration institutions, each of which maintains its own panel of arbitrators. Ad hoc arbitration has not become popular yet, though it is permitted for arbitration between or among the parties with their domiciles in the pilot free trade zones. In practice, arbitrators are nominated and chosen from the panel of arbitrators unless otherwise agreed by the parties. Practising lawyers, law professors, in-house counsel, industry experts, retired judges and governmental officials are frequent nominees sitting as members of arbitral tribunals. An incumbent judge is not allowed to sit as an arbitrator. In general, there is a tendency for Chinese arbitration institutions to provide for more diversity in institutional appointment. For example, in CIETAC arbitration, the proportion of female arbitrators has now increased to 20 per cent and foreign arbitrators come from over 60 countries in the world. It is expected that this culture of diversity will be reinforced in the future. The default appointment mechanisms set out by the Arbitration Law are twofold: first, the number of arbitrators of an arbitral tribunal shall be either one or three, no other number of arbitrators is lawful (article 30); secondly, if the parties fail to agree on a method for forming the arbitral tribunal, or to appoint the arbitrators within the time limit specified in the rules of arbitration, the arbitrators shall be appointed by the chair of the arbitration commission (article 32). Chinese lawmakers do not allow courts to intervene in the selection of arbitrators. It is anticipated that even if ad hoc arbitration happens in mainland China, in the future, courts will also not involve themselves in, or assist with, the selection of an arbitrator. the arbitrator has privately met with a party or a party’s counsel, or accepted an invitation to entertainment or a gift from a party or a party’s counsel. The Arbitration Law provides that if a party challenges an arbitrator, it shall submit its challenge statement no later than the closing of the final hearing. The chair of the arbitration commission is empowered to decide whether the challenge should be approved. an arbitrator is prevented de jure or de facto from fulfilling his or her duty. These scenarios include illness, death or any other reason that prevents an arbitrator from continuing his or her work. The parties may agree that the IBA Guidelines on Conflicts of Interest in International Arbitration be applied to arbitration. In China, arbitration is viewed as a professional service rendered to the parties by arbitrators according to rules of law. Article 34 of the Arbitration Law requires that an arbitrator shall refrain from having any relationship with the party or the party’s representative that may influence the impartiality and independence of that arbitrator. Almost all Chinese arbitration commissions have maintained their own codes of conduct for arbitrators. Arbitrators are entitled to receive remunerations as well as compensation for actual costs and expenses incurred. The levels of remuneration are fixed by each arbitration institution according to its own internal standards, mostly unpublished. However, CIETAC Hong Kong Arbitration Centre, SCIA and BAC recognise that the parties may agree on the levels of remuneration to arbitrators in international arbitration. Arbitrators’ fees may be determined by an agreed hourly rate, or calculated based on the amount in dispute. while arbitrating the case, the arbitrator has accepted bribes, resorted to deception for personal gains or perverted the law in the ruling. Under these circumstances, the Arbitration Law provides that the arbitrator concerned shall assume liability ‘according to the law’. It is generally understood that the liability may include either civil liability or criminal liability, or even both. As with a judge, an arbitrator who deliberately renders an award in violation of the law and against the facts may be charged with criminal liability of up to seven years’ imprisonment under article 399 of the Criminal Code. The Arbitration Law affirms the principle that a valid arbitration agreement may exclude a court’s jurisdiction over the same dispute. If one party commences an action in a people’s court without declaring the existence of the arbitration agreement and, after the court has accepted the case, the other party submits the arbitration agreement prior to the first oral hearing conducted by the court, the court shall dismiss the case unless the arbitration agreement is found to be null and void (article 26). However, if the other party has not raised an objection to the court’s acceptance of the case prior to the first oral hearing, the party shall be deemed to have waived its right of arbitration under the arbitration agreement and the court will continue to try the case (article 26 of the Arbitration Law). Under the Arbitration Law, the arbitral jurisdiction is reserved for determination by either an arbitration institution or a people’s court. The arbitration institution may also delegate its power to the arbitral tribunal. Upon authorisation from an arbitration institution, an arbitral tribunal may either make a separate decision on jurisdiction during the arbitral proceedings or incorporate the decision in the final arbitral award. An objection to jurisdiction shall be raised in writing before the first oral hearing or before the respondent’s submission of the first substantive defence if no hearing is to be held. The Arbitration Law is silent on the default rules for ascertaining the place and language of arbitration. These questions are deferred to the authority of relevant applicable rules of arbitration. The 2015 CIETAC Rules stipulate that where the parties have agreed on the place of arbitration and the arbitration language, the parties’ agreement shall prevail. Otherwise, CIETAC will make the decision where it deems proper and necessary, taking the specialities of a case into account (articles 7 and 81). The arbitral award is deemed as having been made at the place of arbitration (article 7). The Arbitration Law provides that the claimant shall submit the application for arbitration to the arbitration institution in order to commence the arbitration proceedings. the application is within the scope of the arbitration commission’s jurisdiction. Copies of applications for arbitration and their annexes should be submitted in accordance with the number of arbitrators, plus one set for the arbitration institution as a record. The 2015 CIETAC Rules provide that the arbitration proceedings shall commence on the day on which CIETAC receives the application for arbitration (article 11). The Arbitration Law provides that arbitration shall be conducted by means of oral hearings. However, if the parties agree to arbitrate their disputes without oral hearings, the arbitral tribunal may render an arbitration award on the basis of written submissions and other materials without any oral hearings (article 39). A notice of oral hearing shall be served upon the parties in advance. The claimant’s absence for the hearing may be deemed as having withdrawn its application, and the respondent’s absence for the hearing will not prevent the arbitral tribunal from making an arbitral award by default (article 42). The Arbitration Law is silent on the methods of holding an oral hearing. a convenient place of deliberation: the arbitral tribunal may hold deliberations at any place or in any manner that it considers appropriate. As a general principle, the Arbitration Law requires that the parties must furnish evidence to prove their allegations (article 43). Where an arbitral tribunal deems it necessary to collect further evidence, it may collect it on its own initiative (article 45). The above evidence must be verified before it can be taken as a basis for ascertaining the facts (article 63 of the Civil Procedural Law). The arbitral tribunals may decide on the admissibility, relevance and weight of the evidence. In recent years, there has been an increasing tendency for the parties to agree on, and for the arbitral tribunal to apply or seek guidance from, the IBA Rules on the Taking of Evidence in International Arbitration. In many aspects, the CIETAC Guidelines on Evidence (2015) resemble the IBA Rules. ordering one party to conduct or not to conduct certain acts: the court may order a party to conduct or not to conduct certain acts for the purpose of enforcement, or elimination of harmful effects. In general, commercial arbitration shall follow the principle of confidentiality. The individual rules of arbitration formulated by the arbitration institutions normally set out strict rules for confidentiality. Article 38 of the 2015 CIETAC Rules provides that hearings shall be held in camera and all participants (the parties, their authorised representatives, witnesses, arbitrators, experts, appraisers and staff of the commission) in the arbitration shall not disclose to any outsider any substantive or procedural matters relating to the case. An arbitral award under judicial enforcement will no longer enjoy the privilege of confidentiality since court hearings and judgments are generally open to the public. Under the law, there are three types of interim measures available for a party to seek from the people’s court (ie, preservation of property, preservation of evidence and order to act or not to act). The revised Civil Procedure Law permits a party to apply for interim measures prior to initiating arbitration owing to urgent situations and upon providing a guarantee (article 101). The competent people’s courts, which have jurisdiction over an application for interim measures, are the courts where the preserved property or evidence, or the domicile of the party against whom the application is sought, is located. binding force of the orders: the emergency arbitrator may order necessary or appropriate emergency measures. The order of the emergency arbitrator shall have a binding force on both parties. Subject to the restrictive provisions of the law, an arbitral tribunal has very few options to order interim protection measures. Nevertheless, the arbitral tribunal may order some other sorts of interim measures that are beyond the court’s exclusive domain. For instance, an arbitral tribunal may issue an interlocutory award ordering the sale of perishable goods, inspection and test run of equipment in dispute, audit of accounting records, or suspension or prevention of a party from carrying on certain conduct during the process of the arbitration. Unless otherwise agreed by the parties, an arbitral tribunal will not order one party to deposit security for costs for another party. Under the law, there is no express provision pursuant to which an arbitral tribunal may impose sanctions on the recalcitrant parties or their counsel who use guerrilla tactics to delay or obstruct arbitration proceedings. However, the parties are free to introduce any rules or guidelines, such as the IBA Guidelines on Party Representation in International Arbitration, into their arbitration agreement to govern the arbitration proceedings. An alternative means to sanction the guerrilla tactics available for an arbitral tribunal is to adjust the allocating proportion of costs by exercising its discretionary power under the relevant arbitration rules. Article 52 of the 2015 CIETAC Rules allows an arbitral tribunal to decide the allocation of costs based on the principle of reasonableness. Article 51 of the 2015 BAC Rules and article 62 of the 2016 SCIA Rules expressly empower an arbitral tribunal to decide that the additional costs resulting from any delay to the arbitral proceedings shall be borne by the party responsible for causing the grounds for challenge. Owing to the lack of support by laws or procedural rules, arbitration institutions or arbitral tribunals do not have the power to impose sanctions on a party’s counsel for any conduct that infringes the integrity of the arbitration proceedings. Where a case is examined by an arbitral tribunal composed of three arbitrators, the arbitral award shall be made in accordance with the opinion of the majority of the arbitrators. If the arbitral tribunal is unable to form a majority opinion, the arbitral award shall be made in accordance with the opinion of the presiding arbitrator (article 53 of the Arbitration Law). The law does not require that an arbitral award be made by unanimous vote, which may sometimes create a deadlock in the decision-making process. The validity, finality and enforceability of an arbitral award will not be affected if an arbitrator dissents. The 2015 CIETAC Rules add that written opinions of dissenting arbitrators shall be docketed into the file kept by CIETAC and may be appended to the arbitral award. The written dissenting opinions are not considered as forming a part of the arbitral award (article 49). The Arbitration Law provides that an arbitral award must specify the nature of the claim, the facts of the dispute, the reasons for the decision, the result of the award, the allocation of arbitration costs and the date of the award. If the parties agree that they do not wish the facts of the dispute and the reasons for the decision to be specified in the arbitral award, these items may be omitted in the award. The arbitral award must be signed by the arbitrator who decides the dispute, and affixed with the stamp of the arbitration institution (article 54). The dissenting arbitrator may have a choice to sign or not to sign on the arbitral award. If the arbitral award is made in accordance with a settlement agreement reached by the parties through a successful mediation, either conducted by an arbitrator-turned-mediator or by any other neutrals, the arbitral award is categorised as a consent award. For a consent award, the facts of the dispute and the reasons on which the award is based may not be stated in the award (article 49 of the 2015 CIETAC Rules). If a settlement agreement infringes the right of a third party or is contrary to the public interest, the tribunal may refuse to record the settlement agreement as a consent award (article 46 of the 2016 SCIA Rules). The Arbitration Law does not set out any time limit within which an arbitral award must be rendered. This issue is normally dealt with by the relevant arbitration rules. In practice, the time limit for making an award may vary depending upon the type of arbitral procedure. For an ordinary arbitration procedure, the 2015 CIETAC Rules state that an arbitral tribunal shall render an award within six months from the date the arbitral tribunal is formed (article 48). In summary procedure, the time limit is three months (article 62), and for domestic arbitration the time limit is four months (article 71). The president of the Arbitration Court of CIETAC may, at the request of an arbitral tribunal, extend the time limit if the president considers it truly necessary and the reasons for the extension truly justified. An extension of the time limit does not require the parties’ consent for avoidance of any possible deadlock. The Arbitration Law provides that a written arbitral award shall become legally effective from the date it is made (article 57). The date of making an award is usually clearly stated in the arbitral award, and a tribunal may correct typographic or calculation errors, or omissions on its own initiative. A party may also make a request for a correction of an award within 30 days of receiving it. The Arbitration Law prescribes that if a party wishes to apply for setting aside an arbitral award, the party must do so within six months from the date of its receipt of the award (article 60). An application exceeding the prescribed time limit may lead to rejection of the application by the court. The Arbitration Law has prescribed that both partial awards (article 55) and final awards (article 54) are final and have a binding force on the parties. In addition, a consent award is also final and enforceable. An arbitral tribunal under the CIETAC Rules may make an order on interim protection measures according to the applicable law (article 23), or make a decision on jurisdiction if the tribunal is authorised to do so by CIETAC (article 6). An emergency arbitrator may make an order on interim measures as well (article 23 and Appendix III). The order or decision made by an arbitral tribunal or an emergency arbitrator has binding force on the parties concerned according to the applicable law. A wide range of remedies are available to arbitrators. Generally, every remedy available in litigation is available in arbitration as well. The remedies often granted by arbitral tribunals include declaratory relief, specific performance or monetary compensation. Arbitration proceedings are normally terminated by a final arbitral award (including a consent award) or by a decision made by either an arbitration institution or by an arbitral tribunal. In the case of a lack of arbitral jurisdiction, an arbitration institution shall make a decision to terminate the arbitration proceedings. Under the 2015 CIETAC Rules, a case shall be dismissed if the claim and counterclaim have been withdrawn in their entirety (article 46). The dismissal decision will effectively terminate the arbitration proceedings. An arbitral tribunal may decide to terminate arbitration proceedings on its own initiative if it finds that the continuation of the proceedings has for any other reason become unnecessary or impossible. The Arbitration Law contains no provision on cost allocation for arbitration. This issue is dealt with by the relevant arbitration rules. The 2015 CIETAC Rules have provided useful guidelines for an arbitral tribunal to consider thereon. In general, an arbitral tribunal tends to adopt the principle that the costs follow the event in allocating the cost liability between the parties. In this regard, an arbitral tribunal has the power to determine in an arbitral award that the losing party shall compensate the winning party for the expenses reasonably incurred by it in pursuing the case. If a party wins in part and loses in part, an arbitral tribunal may allocate the costs in proportion to the outcome. By so doing, an arbitral tribunal enjoys a fairly broad discretionary power to make a proper decision. Under special circumstances, an arbitral tribunal may deviate from the principle of costs follow the event and decide that the party that has delayed or impeded the arbitration proceedings must bear a larger proportion of arbitration costs. The issue of interest normally falls within the scope of substantive law and an arbitral tribunal may award it at the request of one or both parties. Very often, arbitral tribunals seated in mainland China award with simple or compound interest on principal claims, calculated from the date due until the date of actual payment. According to the Civil Procedure Law, if a party fails to fulfil its obligation to pay the money within the time limit specified in an arbitral award, that party is obliged to pay double interest on the debt for the belated payment (article 253). The Supreme People’s Court interpreted in 2014 that the interest on the debt for the belated payment shall be calculated according to the method stated in the award plus additional interest at the rate of 0.0175 per cent per day. The Arbitration Law provides that, if there are clerical or calculation errors in an arbitration award, or if matters that have been decided by an arbitral tribunal are omitted in the arbitration award, the arbitral tribunal shall correct or supplement the award on its own initiative. Within 30 days of receipt of the arbitral award, any party may request the arbitral tribunal to make the correction (article 56). The correction constitutes a part of the award and supersedes the part in error. There is no express provision for an arbitral tribunal to issue an interpretation of an arbitral award. The Arbitration Law provides that a court that has the exclusive jurisdiction over setting aside an arbitral award is the intermediate people’s court where the arbitration institution is domiciled (article 58). The court may rule to set aside an award on any of the grounds enumerated by law at the request of a party, or rule to nullify an arbitral award if the court finds ex officio that the award is contrary to the social public interest (ie, public policy). The grounds for setting aside an arbitral award vary depending upon the nature of the award. Chinese law gives a bifurcated treatment towards pure domestic arbitration and foreign-related arbitration. arbitrators have accepted bribes, resorted to deception for personal gains or perverted the law in the award. the matters for arbitration are out of the scope of the arbitration agreement or are beyond the limits of authority of the arbitration commission. The court shall form a collegiate bench to hear the application. Where any of the aforesaid grounds should be found, the arbitral award shall be ruled to be set aside. The time limit for a party to apply for setting aside an award is six months starting from the date of receipt of the award. During the process of setting aside, the court may afford the arbitral tribunal an opportunity to re-arbitrate the disputes at issue and render a new award in substitution of the original award, otherwise the court may proceed to set aside the original award if the arbitral tribunal declines to re-arbitrate (articles 59-61 of the Arbitration Law). The Civil Procedure Law stipulates that the ruling to set aside or to refuse enforcement of an arbitral award cannot be appealed (article 154). In lieu of an appeal, the Supreme People’s Court issued judicial interpretations to set up a level-by-level report mechanism in 2008 to the effect that the Supreme People’s Court shall have a final say on whether an arbitral award shall be set aside if the arbitral award is one that is foreign-related. The level-by-level report mechanism is an internal procedure within the court system, so it does not cause additional costs to the parties. This mechanism will apply to pure domestic arbitral awards involving trans-province parties or public policy interest from 1 January 2018, according to the Provisions on the Report of Judicial Review on Arbitration Cases issued by the Supreme People’s Court on 26 December 2017. The Arbitration Law sets out a general obligation on parties to comply with an arbitral award. If a party fails to comply with the award, the successful party is entitled to apply for enforcement of the award. a pure domestic arbitral award made in mainland China: identical to those for setting aside a domestic arbitral award made in mainland China (article 237 of the Civil Procedure Law). The level-by-level report mechanism set up by the Supreme People’s Court with its judicial interpretation in 1995 applies to non-enforcement of foreign-related arbitral awards, foreign arbitral awards and arbitral awards made in Hong Kong, Macao and Taiwan. This mechanism will apply to pure domestic arbitral awards involving trans-province parties or public policy interest as from 1 January 2018. According to the mechanism, only after the Supreme People’s Court has agreed in a written reply can an intermediate people’s court issue its ruling to refuse enforcement. It is widely recognised that the level-by-level report mechanism is centralised and effective in combating against potential local protectionism. the time limit for submission of an application for enforcement is two years, commencing from the last date of voluntary compliance prescribed by the arbitral award or, failing that, from the date that the arbitral award becomes binding. Article 239 of the Civil Procedure Law sets out the limitation period for enforcement of arbitral awards. It provides that the limitation period for applying for enforcement shall be two years. However, the limitation period may be suspended or interrupted. The suspension or interruption of the limitation period for applying for enforcement is governed by other relevant laws. The limitation period shall begin from the last day of the performance period specified by an arbitral award, or from the last day of each specific performance period if the arbitral award orders performance in instalments, or from the effective date of an arbitral award if the award does not specify a period of performance. On 5 January 2018, the Supreme People’s Court adopted the Provisions on Several Issues Regarding Handling Cases of Enforcement of Arbitral Awards, which allow the defendant against whom the enforcement is sought to apply to the enforcing court for non-enforcement of an arbitral award within 15 days after its receipt of the notice of enforcement, and permit a third party who is not a party to arbitration to apply to the enforcing court for non-enforcement of an arbitral award that infringes the third party’s interest within 30 days from the date on which it knows, or should have known, that the court is taking enforcement action. Chinese courts will generally not recognise and enforce arbitral awards that have been set aside by the courts at the place of arbitration. However, no case has been reported in which a Chinese court did not recognise and enforce an arbitral award that had been nullified at the place of arbitration. The Arbitration Law does not contain a provision on emergency arbitration. It is generally understood that a Chinese court will not enforce the orders made by emergency arbitrators. The arbitration rules of CIETAC, SHIAC, SCIA and BAC have provisions for emergency arbitrators, which only state that the orders given by emergency arbitrators shall have binding force on the parties. Compulsory enforcement of the orders is not mentioned. The costs for recognition and enforcement of an arbitral award are calculated and paid to the enforcing court according to the Measures on the Payment of Litigation Costs (2007) formulated by the State Council of China. The Chinese legal system belongs to the civil law system, and arbitration in China shares a number of common characteristics with litigation in court. In practice, arbitrators and judges intend to take an inquisitorial approach to hearing cases. The duration of oral hearings is usually short but concentrated, and judges or arbitrators frequently offer to mediate the disputes in order to help the parties settle. Judges and arbitrators give great weight to the documentary evidence that has been produced and examined at hearings. Employees or officers of the parties may testify, but normally they appear before the arbitral tribunals in the capacity of arbitration agents authorised by the parties, and their counsel alike. If the parties agree in their arbitration agreements that US-style discovery shall be employed, an arbitral tribunal is bound to honour the parties’ agreement. There are a number of laws and rules that contain professional or ethical rules applicable to counsel in international arbitration in China. Article 35 of the Law on Lawyers (1997) provides that a lawyer shall not commit any acts in his or her practice activities, such as privately meeting with an arbitrator in violation of relevant regulations, providing false evidence, concealing facts, obstructing the opposing party’s lawful obtaining of evidence, disrupting the order of an arbitral tribunal or interfering with the normal conduct of arbitration activities. Similar guidelines are given by the Lawyers’ Professional Ethics and Practice Disciplines (2001) formulated by the All China Lawyers Association and the Codes of Conduct of CIETAC Arbitrators (2009). To a large extent, best practice in China has reflected that embraced by the IBA Guidelines on Party Representation in International Arbitration. To date there is no piece of law or regulation governing third-party funding in mainland China. The various arbitration rules of Chinese arbitration institutions are also silent on third-party funding, except that the CIETAC Rules on Investment Arbitration contain a provision on third-party funding and that the CIETAC Hong Kong Centre adopted a guidelines on third-party funding for cases that are seated in Hong Kong. The rising of third-party funding is a new phenomenon in international arbitration and it is anticipated that Chinese law will not resist introducing the mechanism in the future. A positive sign is that the National Development and Reform Commission further liberalised the price scheme in December 2014 for professional services, including attorneys’ fees in arbitration, so as to permit the relevant professional service providers to negotiate the fees according to market forces. After China’s accession to the World Trade Organization, the State Council of China formulated the Regulation on Administration of Foreign Law Firms’ Representative Offices in China (2001), which provides that the activities of a representative office of a foreign law firm and its representatives may not encompass Chinese law affairs. The Ministry of Justice clarified in 2002 that ‘Chinese law affairs’ include expression in arbitration activities in the name of an attorney, and attorney opinions or comments on application of Chinese law or facts involving Chinese law. In practice, when arbitrating in China, and where Chinese law is the applicable law to the disputes, foreign lawyers will normally hire or be accompanied by local Chinese-qualified and practising lawyers to represent their clients at hearings. Several judicial interpretations of significance were issued by the Supreme People’s Court in late 2017 and early 2018. These judicial interpretations include Provisions on the Report of Judicial Review on Arbitration Cases (adopted on 26 December 2017); Provisions on Handling Judicial Review on Arbitration Cases (adopted on 26 December 2017); Provisions on Several Issues Regarding Handling Cases of Enforcement of Arbitral Awards (adopted on 5 January 2018); and the Opinion on Providing Judicial Services and Safeguards for the Comprehensive Deepening of Reform in Hainan Province (adopted on 1 August 2018). In combination, these newly published judicial interpretations may help further shape a pro-arbitration judicial environment to the benefit of arbitration in mainland China. A welcome move towards revision of the current Arbitration Law was made by China’s top legislative body, the Standing Committee of the 13th People’s Congress, in its legislation plan released in September 2018. According to the plan, a draft of amendments to the Arbitration Law will be submitted to the legislative body for review and adoption when the time is right within the next five years. The database of the United Nations Conference on Trade and Development shows that none of the BITs to which China is a signatory were terminated in the past two years. The database of ICSID shows that China is a respondent to three ICSID investment arbitration cases (No. ARB/11/15 (Ekran Berhad v China, concluded), No. ARB/14/25 (Ansung Housing Co, Ltd v China, concluded) and No. ARB/17/19 (Hela Schwarz GmbH v China, pending). China won a victory in the Ansung Housing Co, Ltd v China case where a three-member tribunal unanimously rendered a final award rejecting the claimant’s petition because it was found that it was time-barred and, as such, was manifestly without legal merit. 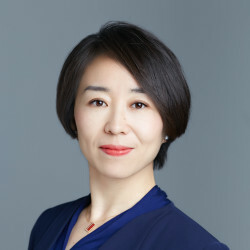 Founded in June 2013, Hui Zhong Law Firm (“Hui Zhong”) is a boutique law firm specializing in domestic and international dispute resolution. 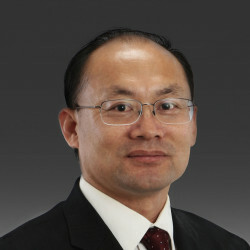 Hui Zhong now have more than 30 lawyers, including 12 partners, offering law services in Beijing and Shanghai.